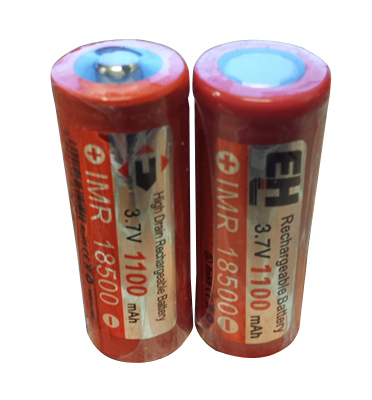 These are rechargeable EH brand LiMn2O4 (commonly referred to as Lithium Manganese or LiMn) batteries. They are safer chemically than Li-Ion batteries and do not need a protection circuit. These cells can handle high amperage and are safe in series or in parallel. They can be charged with any Li-Ion battery charger with an output of 4.2V. These have a flat top. They are 3.7V batteries that are rated for 1100mAh. Max. Charge Rate 1.5A (CC/CV). Compatible with Trustfire TR-001 chargers. Price is for one (1) battery.